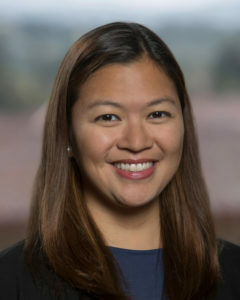 In this edition of Gram Grads, The Stanford Daily sat down with Danica Jacinto (M.B.A. ’17), a recent graduate from Stanford’s Graduate School of Business (GSB), to discuss themes of giving back and enjoying life. She is the first woman from the Philippines to study at the GSB since 2012. The Stanford Daily (TSD): How was school in Manila? How was it similar or different from Stanford? Danica Jacinto (DJ): I went to the University of Philippines and it was completely different from Stanford. Here you can sign up for courses online, but back in Manila, I had to wait in lines overnight in order to register for my classes. When I was working in Singapore, I felt inferior [because] the only education on my resume [was] from a [Filipino] state college. TSD: What is a unique opportunity that the Stanford Graduate Business School has provided for you? DJ: At the Graduate Business School, we had access to a startup incubator in which we got opportunities to create our own companies with some of the world’s smartest business minds. There was easily accessible resources and guidance. TSD: How exactly Stanford has benefitted you in the job application process? DJ: There is a huge network of alumni in all industries that are willing to help and mentor. It’s awesome. Some of the alumni that help are high-level executives at companies and it shows the culture of giving back at the GSB. TSD: I see that you made a “Day in a Life” that was featured on the Stanford GSB website and listed some of your most enjoyable hobbies such as skiing, cooking, bowling, yoga and running. Has Stanford given you an opportunity to pursue those hobbies? DJ: Things like skiing and yoga were introduced to me during my time at Stanford. The campus’ proximity to ski resorts made it possible for me to develop that hobby, and yoga was introduced to me by one of my friends on campus who was a yoga instructor. TSD: Have you found any new hobbies or interests with Stanford’s grand variety of clubs? Which one was your favorite? DJ: I was very involved in campus activities, as I participated in the Asian Business Student Association, Women in Management [and] Global Study Leaders, and was able to organize a trip for twenty-five GSB students to head to my home country of [the] Philippines. All of [these activities] were unique and amazing in their individual ways, but taking twenty-five first year GSB students to my home country was incredible. We were able to discuss ways in which the education and social system of the Philippines could improve on and ways in which the country was doing great. [It] felt really cool to show them the place I came from. TSD: Are you interested in working with educational technologies? DJ: Yes, I am very involved in helping to spread education. I go home often and organize events in which I motivate boys and girls to follow their educational dreams and introduce them to the components of business. I assist in the college application process for many young Filipino students. I want to make sure other women are able to evade restricting social norms and are able to follow their passions at prestigious institutions like Stanford University. Many simply choose not to apply because they feel that they aren’t at a high enough level, and that is not true. I tell kids there that they must apply and give it their best. TSD: How was your social life when you first arrived on campus? DJ: Actually, I was very nervous and thought integrating would be extremely difficult, but everyone was very friendly. The GSB community was very welcoming, and that showed their strength. I met some really awesome people at the GSB program. TSD: Do you have any words to say to future Stanford undergrads or grads? DJ: Work hard, play hard. Contact Savinay Chandrupatla at savinay_reddy ‘at’ yahoo.com. An earlier version of this article stated that Jacinto was the first person from the Philippines to attend the GSB since 2011 instead of 2012. The Daily regrets this error.